Though the market for learning and training outsourcing is doing quite well, organizations still hesitate to outsource their training requirements due to various reasons. These include concerns on the quality of work, meeting timelines and fixed budgets, information privacy and security, and language barriers and cultural issues. 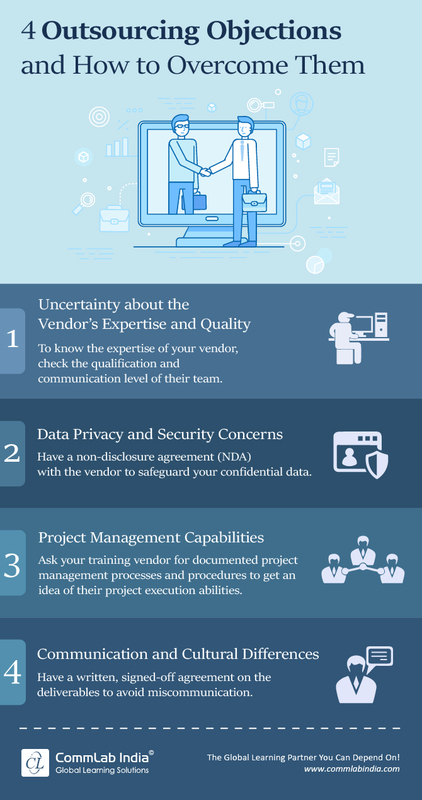 Here is an infographic on 4 objections you may face when outsourcing training and ways to overcome them.